Rockmart, GA – January 9, 2015 – GuardTop, LLC, a division of Tucson-based Western Emulsions Inc., today announced it has acquired a regional asphalt sealcoat manufacturing facility from a former licensee, Blacklidge Emulsions, Inc. and will now directly market its premium brand of GuardTop products in Alabama, Florida, Georgia, Mississippi, North Carolina, South Carolina and Tennessee. GuardTop is a leading brand of environmentally friendly asphalt sealcoat products for commercial and residential parking lots and roads in the Southwestern United States, where its other manufacturing facilities are based. The GuardTop product formula offers a premium quality, non-hazardous alternative to parking lot sealcoat products containing coal tar, a substance linked to health risks in recent studies. The GuardTop Rockmart seal coat plant is managed by Joseph DiBenedetto, an industry veteran with experience gained working for a number of asphalt technology companies in the Southeastern United States. The GuardTop formula has had more than three decades of successful performance on the West Coast, used by leading commercial, residential and retail owners, developers and managers to maintain their asphalt pavements. 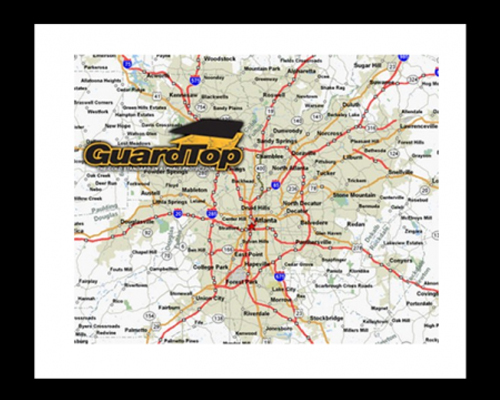 GuardTop has already commenced operations at the facility and is actively marketing its products in the seven state region surrounding Atlanta. In addition to its traditional premium asphalt coating, GuardTop has introduced CoolSeal, a reflective sealcoat product that absorbs less heat from the sun resulting in cooler surface temperatures where the product is applied. GuardTop LLC is a division of Western Emulsions Inc. With operations in California, Arizona, Georgia, New Mexico, Texas and Montana, and sales & marketing covering the entire Western U.S., Western Emulsions Inc. is a leading innovator and supplier of branded and commodity asphalt emulsions and raw asphalt used for pavement preservation, repair and restoration projects. The Company assists public agencies and owners of infrastructure in developing sustainable and cost-effective solutions to maintaining and recycling their asphalt pavements.